New “Live” Tab on the scheduled games screen! Quick-played games may be paused in progress based on your preferences. Choose your pause preferences from a list of play results, game situations, and teams. When a game pauses, you can view the play-by-play or box score, continue until the next pause, or finish the game without pausing. There is even an option to join the game in progress! You may never quick-play seasons the same way again! New Flexible Offensive and Defensive formations! 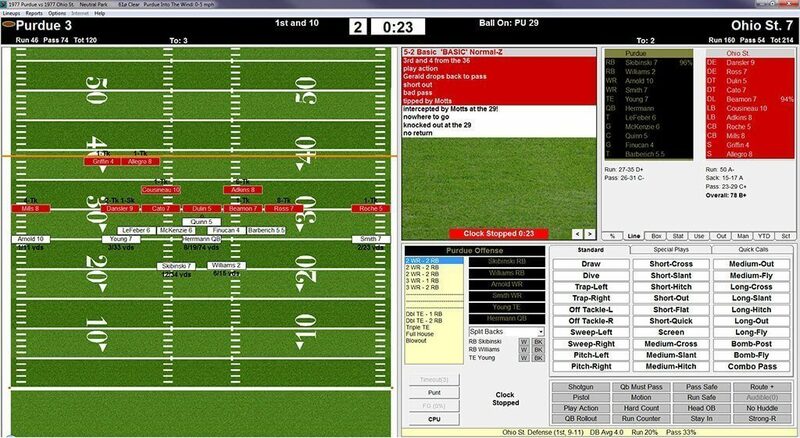 Customize two formations for the offense and two formations for the defense for each team. For the offense, these formations are defaulted to the traditional 2-RB 2-WR pro set. On defense the defaults are standard 4-3 and 3-4 settings. These new flex formations may be set to any available formation! Updated Roster Screen features player ratings for each lineup, coach and uniform images, and an optional player photo display! New Favorite Team Display on the opening screen offers up to the minute stat and injury information along with quick and easy access to team and player screens. 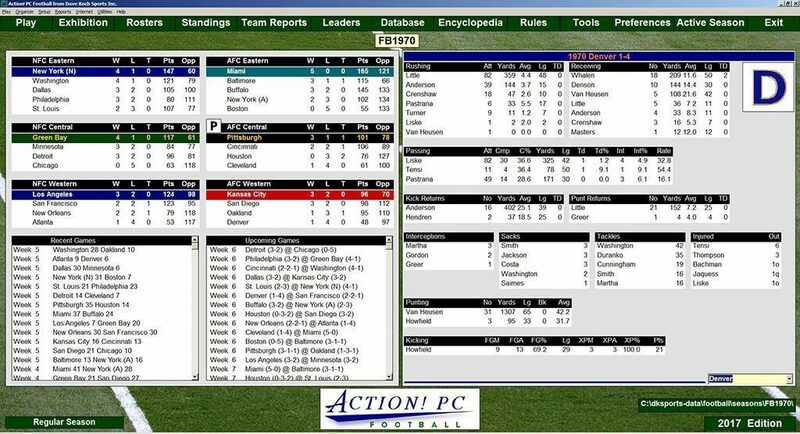 The Player Form includes a new ratings tab with play result estimates for rushing, receiving, and passing, as well as a handy display listing ratings at each position. 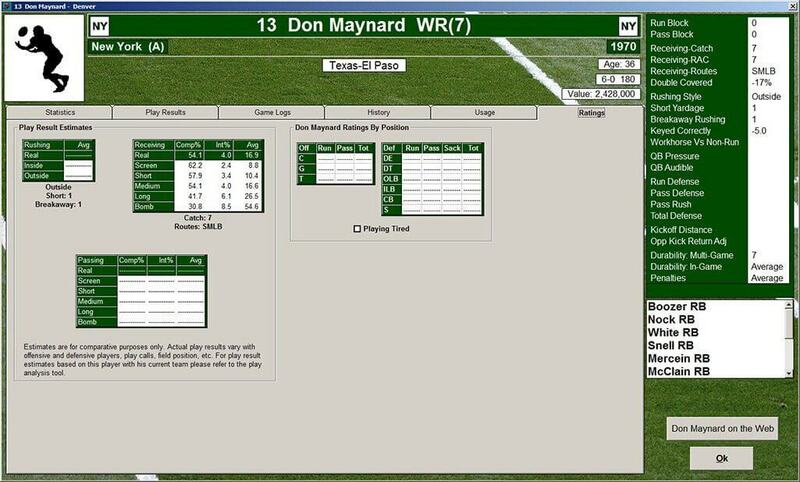 Quickly see a player’s ratings for his regular position and for positions not normally played. 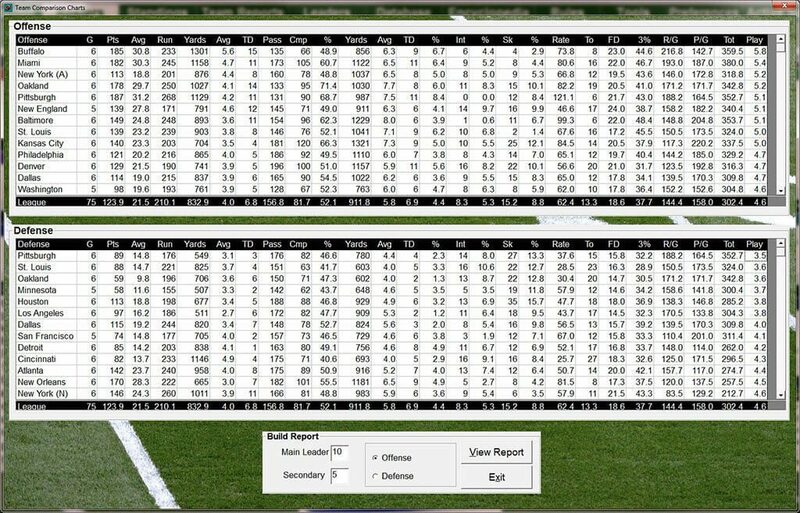 Expanded Team Chart report includes league totals and additional sortable stats.